Cool Event at Dr. Roth’s: 4/18/18! Wednesday, April 18 2018 5:00 - 7:00 p.m.
Join us for TWO Cool Events at Dr. Roth's on Wed., April 18th, from 11 am - 1 pm and again from 5 pm - 7 pm! Take advantage of incredible "One Night Only" specials, FREE Botox, $100 Fleming's Gift Cards and more! 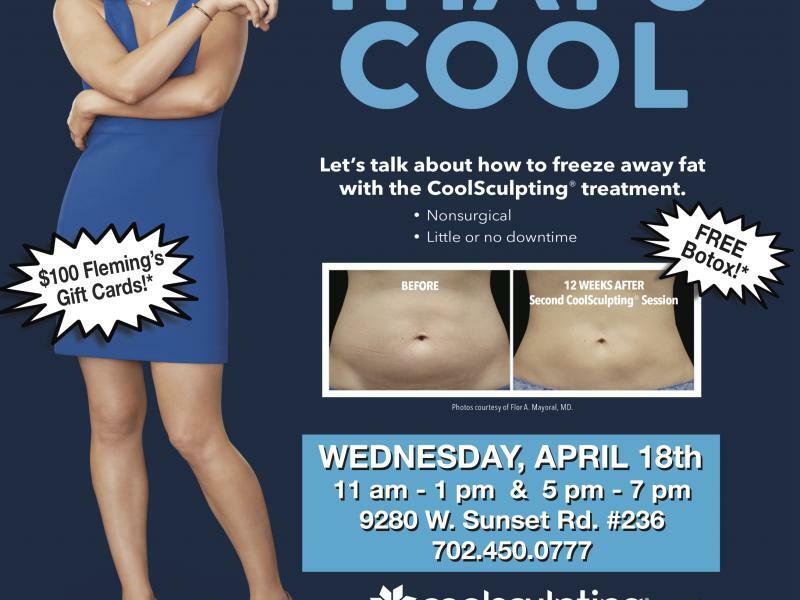 Please call 702.450.0777 and RSVP today! Join Us For a FaceBook LIVE! CHIN Coolsculpting Treatment! Resolution Solution Event: Jan. 31st! Dr. Roth’s Summer Beauty Event! Join Us For a FaceBook LIVE! Botox Treatment!